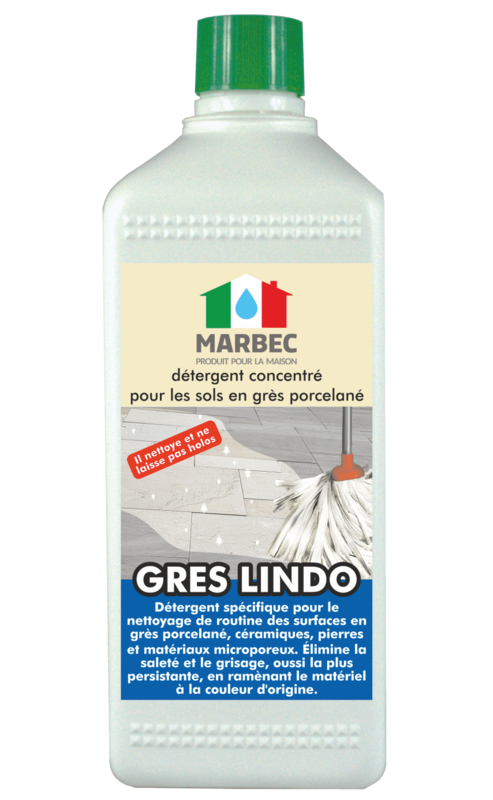 Concentrated detergent for surfaces as: cotto, stone, porcelain tiles, ceramics, cement agglomerates. It cleans, sanitizes the surfaces and does not attack the materials. Furthermore, it has a rapid biodegradability and it’s hypoallergenic. 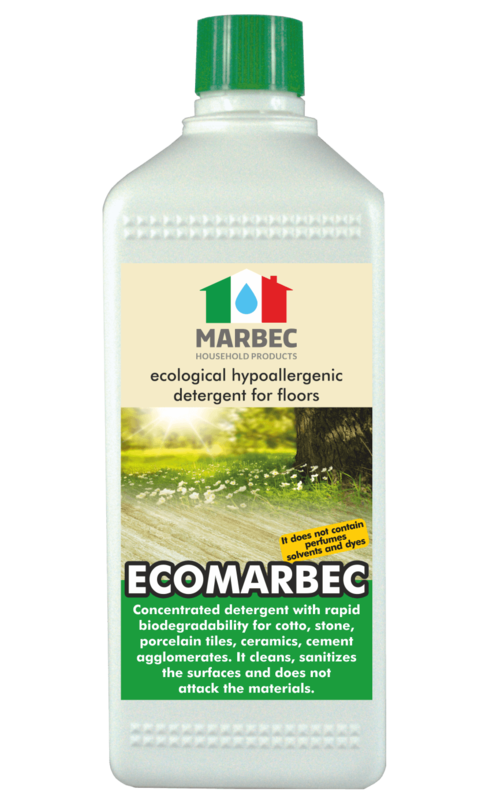 ECOMARBEC is an ecological concentrated detergent for stone materials cleaning. ✔ can be used for manual and mechanical washing (eg washer dryer, pressure washer). it can be used pure or diluted in water. • Dilute 50-100cc of ECOMARBEC in 5 liters of water: for daily cleaning of all surfaces. According to the use concentrations. • SANIKAL-BIO ecological descaling detergent for glass, ceramics and taps.